Moloch, Molech, Molekh, Molek, or Moloc, is either the name of a god or the name of a particular kind of sacrifice associated with fire. 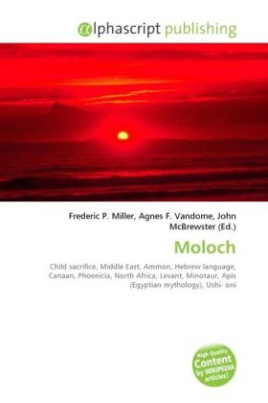 Moloch was historically affiliated with cultures throughout the Middle East, including the Ammonite, Hebrew, Canaanite, Phoenician and related cultures in North Africa and the Levant. In modern English usage, "Moloch" can refer derivatively to any person or thing which demands or requires costly sacrifices.